BUTUAN CITY, Feb. 24 (PIA) – The Caraga Region or Region 13 celebrates its platinum anniversary Monday, February 23, 2015 here. Caraga Region, which was created on February 23, 1995 through Republic Act (RA) 7901 otherwise known as “An Act Creating Region XIII to be known as the Caraga Administrative Region, and for other purposes," is now 20 years old! The celebration was started with a parade participated by the different regional line agencies, local government units and other partners early Monday morning. On its 20th anniversary celebration, the authors of RA 7901 were recognized by the Regional Development Council (RDC) headed by its chairperson, Surigao del Norte governor Sol F. Matugas, during an opening program dubbed as “Caraga at 20” in one of the convention centers here. They are: BGen Charito B. Plaza, Dinagat Islands governor Glenda B. Ecleo, Dr. Mario S. Ty, Atty. Ceferino S. Paredes Jr, and Hon. Jesnar R. Falcon. They were also given a token handed by the RDC chairperson Matugas, Agusan del Norte governor Ma. Angelica Rosedell M. Amante-Matba, and Butuan City vice mayor Angelo S. Calo representing mayor Ferdinand M. Amante, Jr. In her message, Gov. Matba, the first RDC chairperson of Caraga Region, recalled how the region started and how it reached its status now - being one of the fastest growing regions in the country today. “The progress of Caraga Region is the success of its people,” she said. At 20, Caraga Region now stands tall because of the dedication and services of its officials and the Caraganons, Matba added. The program was also highlighted by the RDC chairperson’s State of the Region Address or SORA. In her SORA, governor Matugas acknowledged the contributions of the different sectors – the regional directors/officials for accepting the challenges and for making a notable changes in the region. Regional director Brielgo O. Pagaran of the Department of Trade and Industry (DTI) also received an acknowledgement and token for remaining as regional director since 1995, the time Caraga Region was created. Also, during the program, the winner of the “Be the Agent of Change” Jingle-Making Contest performed their winning piece. A two-day Caraga Through the Years Exhibit and Trade Fair showcasing the products and services of the region was also held. A Forum on Land Use Planning with the theme, "A better future for you, and me, think and act sustainably..." was held in the afternoon of Monday and was participated by the different planners regionwide. Acknowledging the important role of media in the dissemination of information to the public, a press conference was also held right after the forum facilitated by the Philippine Information Agency - Caraga Region. In the evening, a Fellowship Dinner was held with the Association of Caraga Executives (ACE) and members of the Regional Development Council with Barrio Fiesta as the motif. During the fellowship, the officers of the League of Planning and Development Coordinators (LLPDC) of the region took their oath of office. Aside from opening program on Monday, other anniversary activities also include the 20th Caraga Regional Meet on February 23-27, 2015 hosted by the Department of Education Surigao del Sur Division held at the Surigao del Sur Sports Complex in Tandag City; Local Overseas Job Fair on February 25 - 27, 2015 in Claver in Surigao del Norte; Caraga Culinary Show on February 26-27, 2015 in Bayugan City. BUTUAN CITY, Feb. 24 (PIA) - The Department of the Interior and Local Government (DILG) Region XIII announced recently that there are 73 out of 78 local government units (LGUs) in the region that passed the assessment of the CY 2014 Good Financial Housekeeping (GFH) under the Seal of Good Local Governance (SGLG). The GFH, a component of the SGLG, is formerly known as the Seal of Good Housekeeping (SGH) which the Department initiated in 2010. GFH and SGH apply the same minimum criteria, namely: Unqualified or Qualified COA Opinion and Compliance with the Full Disclosure Policy (FDP). For an LGU to be a recipient of the SGLG, it should pass all three core assessments namely GFH, Disaster Preparedness and Social Protection. It should also pass one of the three essential assessments namely Business Friendliness and Competitiveness, Environmental Protection and Law & Order and Public Safety. DILG 13 regional director Lilibeth A. Famacion said that the assessment was conducted on July to August 2014 through cross-posting method by the Regional Assessment Teams (RATs) composed of DILG Field Officers, representatives from the Civil Society Organizations (CSOs) and National Government Agencies (NGAs). The DILG field officers together with the members of the assessment teams were assigned in other LGUs to avoid biases during the assessment. After the assessment, it was calibrated by the DILG provincial and regional directors before submitted to the DILG Central Office for national calibration. The assessment is finally completed and the list of passers can be accessed in the DILG Central Office website www.dilg.gov.ph and DILG 13 website www.caraga.dilg.gov.ph. Such will be the basis for the issuance of the GFH Certification for loan purposes and accessing other national program windows, subject to specific guidelines. “The GFH Certification is a requirement for local governments in accessing loans pursuant to Local Finance Circular No. 1-2012, and in accessing national program windows like the Bottom-Up Budgeting (BuB) Program and the SALINTUBIG Program pursuant to DILG Memorandum Circular No. 2013-066,” Famacion said when asked on the importance of the GFH. SURIGAO CITY, Surigao del Norte, Feb. 24 (PIA) – Mindanao Development Authority (MinDA) Secretary Luwalhati Antonino presided the Mindanao 2020 Roll-out meeting and Dialogue with officials of Surigao del Norte on February 18 at the New PGO Conference Hall Annex hosted by Governor Sol F. Matugas. Sec. Antonino spoke affirmatively concerning the projected coffee-cocoa industry which the lady governor also shared for her beloved constituents. Economic drivers thoroughly discussed during the convergence were in line with the banner thrusts and flagship components of HEALS (Health, Education, Agri-Aquaculture, Livelihood and Spirituality) Plus Development Roadmap which the hands-on governor framed. Among those P410 million worth of PAMANA projects showcased and conceptualized during the gathering were the following: Construction of Camp Edward-Ferida-Puyawon-Tumurok Road (7.5 km) along Gigaquit and Alegria; Rehabilitation of Claver-Sapa-LASICAM-Puyawon Road (10 km) in Claver and Gigaquit; Rehab. of Campo-Payapag-Little Baguio Road (4 km) in Bacuag; Rehab. of Mahanub-Puyawon Road (10 km) in Gigaquit; Construction of Little Baguio-Budlingin-San Juan-Alipao Road (7.5 km) in Bacuag and Alegria; and Rehabilitation of Cantapoy-Villariza Road (4 km) in Malimono. BUTUAN CITY, Feb. 24 (PIA) - Nominations are now being accepted for the Metrobank Foundation Search for the Country’s Outstanding Public Officers in Service (COPS), an award dedicated to police officers who have actively mobilized, been involved in and organized the community for peace and order. Since 1993, Metrobank Foundation Inc. has provided support to programs benefiting the personnel of the Department of the lnterior and Local Government (DILG) of their invaluable role in nation building. This support took the form of grants that benefited primarily the Philippine National Police (PNP). In partnership with the Rotary Club of New Manila East (RCNME), PSBank and the PNP, the search seeks to honor the men and women of the police force who share this view and have actively implemented programs that allows for and motivates the community to become partners in ensuring peace and order. While the emphasis is on community partnership, this does not mean that only policemen and women assigned to police-relations have a chance of winning in the competition or that it is only open for police officers assigned in Police-Community relations. During the flag raising ceremony on Monday at the Police Regional Office (PRO) 13 Grandstand here, COPS chairman Christopher Ponce discussed the search for COPS to heighten the awareness of the PNP uniformed personnel on the conduct of the annual event and to increase the number of nominees from this region. “Through the Search for COPS, the civilian sector - the community is given the opportunity to stand and applaud the men and women in uniform for keeping us all safe,” he said. The speaker added that now on its 12th year, each COPS awardee will receive P400,000.00 cash prize, COPS Trophy and Metrobank Foundation Medallion. All commissioned officers with the rank of Inspector up to Senior Superintendent and Non Commissioned Officers with minimum of 7 years in service are eligible to join the Search. After the flag raising ceremony, it was followed by a formal information campaign at PRO 13 Conference Room, attended by all Chiefs of Police, Station Commanders, Provincial and City Executive Senior Police Officers. SURIGAO CITY, Surigao del Norte, Feb. 24 (PIA) - Municipal and city government officials mostly composed of Vice-Mayors, Planning and Development Coordinators, Business Permit Licensing Officers (BPLOs) and Local Economic and Investment Promotion Officers (LEIPOs) attended the Cities and Municipalities Competitiveness Index (CMCI) Roadshow on Feb. 18, 2015 held at Parkway Hotel, Barangay Luna, this city. For the past two years, the National Competitiveness Council has been conducting the Cities and Municipalities Competitive Index (CMCI) ranking to determine the degree of competitiveness of selected local government units (LGUs) looking into the overall economic dynamism, government efficiency and vital infrastructures. The goal is to drum up awareness of the LGUs to improve their level of competitiveness that can hopefully attract investments and businesses that will help hasten and catalyze economic development in their respective localities. For 2015, all cities and municipal LGUs will be covered by the CMCI starting February and will last until May of this year. In behalf of Governor Sol F. Matugas, Provincial Administrator Atty Primolito B. Plaza delivered his welcome remarks. He said that the effort to measure the LGUs competitiveness is in harmony to the priorities of the provincial government to significantly improve delivery of government services not only for the business sector but generally to the constituent public. Atty. Plaza stressed that the initiative goes along with the provincial program thrust for a quality and efficient governance system. Meanwhile, DTI Surigao del Norte provincial director Celestino L. Negapata, during the presentation of the overview of the activity, said that measuring competitiveness is a global recurring theme as nations and communities tried to improve their socio-economic condition considering diminishing resources. He stressed that the higher goal for LGU to improve its competitiveness that is expected to further attract business and investments is the sustained development of their communities that will hopefully result to the improvement of lives of the general populace thereby reducing poverty of the marginalized sectors. Technical personnel from the Department of Interior and Local Government (DILG) and the Department of Trade and Industry (DTI) in the persons of Welivie C. Diola, Luth Edmund Apresto and Marson Jan Dolendo discussed various topics including the implementation of streamlining program on the Business Permit Licensing System (BPLS), the results of the Business One-Stop-Shop (BOSS) Monitoring and the 2014 BPLS experience survey results. The concept, process and mechanism of the 2015 Cities and Municipalities Competitive Index (CMCI) which is the main focus of the activity was discussed by Brenda B. Corvera, chief, Trade and Industry Development Specialist of DTI Regional Office. Thereafter, further discussion on some issues and concerns relative to the CMCI process were clarified during the open forum facilitated by Marson Jan S. Dolendo. The regional CMCI Team appealed for LGUs support to accomplish the form by providing data and information vitally needed by the end of March. After which data validation will follow before submission to the National Competitiveness Council. TANDAG CITY, Surigao del Sur, Feb. 25 (PIA) – Mindanao still grieves over the brutal death of the 44 members of the Special Action Force in Mamasapano, Maguindanao early this year. This heart-breaking controversy stirred and moral tensions defining borders and emphasizing differences. One way to rebuild peace in Mindanao is by holding sports competitions such as the 18th Caraga Regional Athletic Meet (CRAM). This year's CRAM, hosted by the province of Surigao del Norte, is joined by more than six thousand athletes, coaches and officials, each with his/her own set of values, but for the sake of determining the best athletes to represent Caraga to the Palarong Pambansa, one needs to set aside personal motives to give way for collective goals. The core value of the CRAM, which is sportsmanship, incorporates the virtue of peace. At the level of children, peace means maintaining composure and focus despite the pressure from coaches, teammates and spectators durig games and graciously accepting defeat. Among adults, peace is the amalgamation of cultures, accommodation of differences and appreciation towards the diverse science and art applied by each delegation as they perform in the CRAM. Former Congressman Prospero “Butch” Pichay emphasized in his keynote speech during the opening program that athletes need to exercise utmost discipline and to seek excellence every single day even when alone and even when there are no competitions. He cited People’s Champ Manny Pacquiao and Argentine footballer Leo Messi for the praiseworthy qualities that make their countries proud. The value of discipline and love for excellence taught in sports are prerequisites to having quality lives in peace. CAMP EVANGELISTA, Cagayan de Oro City, Feb. 24 (PIA) - Troops of 4th Infantry Division (4ID) captured two New Peoples Army (NPA) camps following two separate armed encounters in Brgy. Padiay, Sibagat, Agusan del Sur, Monday, February 23, 2015. The first clash happened at about 12:50 p.m. wherein troops of 26th Infantry Batallion led by 2Lt Bryan Villena were able to close-in with the NPAs. The fire fight lasted for 10 minutes after which the NPAs scampered leaving their makeshift camp and some ammos of AK 47. Another clash happened at about 3:10 p.m. wherein troops from the 2nd Scout Ranger Battalion under Cpt Romeo Ferdiannd Bautista were up against more or less 30 NPAs. The fire fight lasted for about 40 minutes after which the NPAs abandoned their camp and fled the area. Troops were able to recover four Improvised Explosive Devices (IEDs) and other war paraphernalia. The NPA camp can accommodate about 50 persons. Brgy. Padiay of Sibagat, Agusan del Sur is a hinterland barangay which is also a boundary of the three provinces of Agusan del Sur, Agusan del Norte and Surigao del Sur. These areas are known to be NPA safe havens and have been the staging areas in conducting different atrocities in the region. “We are now fighting the NPAs in their strongholds and we will continue to hunt to prevent them from harming our fellow Filipinos,” said 4ID commander MGen. Oscar Lactao. TANDAG CITY, Surigao del Sur, Feb. 24 (PIA) – Due to a remarkable collection performance on real property tax last year, the Provincial Treasurer’s Office (PTO) has deemed it wise to hold on Monday an awarding and recognition program honoring their concerned counterparts at the 17 municipalities for the job well done including the local chief executives (LCEs). The special activity highlighted the flag ceremony program hosted by the Office of the Provincial Treasurer with the honorees (mayors, treasurers, assessors and/or their respective representatives) present. Governor Johnny Pimentel, together with Provincial Treasurer Wenifreda Perez, led the ceremonial presentation of the awards and recognition held at the capitol lobby in the order of performance ranking based on the rate increase of the percentage of collection as against the annual goal. Per unnumbered memorandum circular issued by the said office on the matter, the top five municipalities, which received not only a plaque of appreciation but also a higher cash incentive of P30,000; P25,000; P20,000; P15,000; and P10,000, respectively, are Hinatuan—218.26 percent; Barobo—188.90 percent; Carmen—180.47 percent; Cortes—176.07 percent; and Bayabas—174.62 percent. All those which did not make it to the top five have likewise been given a cash incentive but at only P5,000 apiece plus the corresponding plaque of appreciation. These are the municipalities of Cagwait—174.11 percent; Marihatag—173.84 percent; Madrid—166.63 percent; Lingig—164.08 percent; Tago—152.78 percent; Carrascal—147.19 percent; Tagbina—145.59 percent; San Miguel—143.69 percent; San Agustin—130.33 percent; Cantilan—128.59 percent; Lianga—116.46 percent; and Lanuza—108.46 percent. Concerned employees of the treasury office at the province also received due recognition because of their efforts. “The Office of the Provincial Treasurer is overwhelming with gratitude for a victorious journey towards the fulfillment of the mandate in the treasury office; one of those is the collection of taxes, fees and charges accruing to the coffers of the provincial government,” the provincial treasurer said in the introductory part of her speech. She then cited “a collection efficiency of 155.05 percent” or equivalent to the total collected amount of P113,899,457.32 over the estimated collection target of P73,460,181.19. 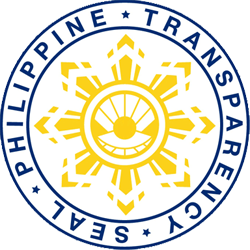 During the preceding year 2013, the total cumulative collection was only posted at P71,875,960.23 over the estimated cumulative collection target of P42,023,497.09, it was learned. BUTUAN CITY, Feb. 24 (PIA) - A total of P11,941,171 worth of skills training under the Bottom Up Budgeting (BUB) has been approved for Caraga Region in 2015. According to Technical Education and Skills Development Authority (TESDA) Caraga regional director Florencio F. Sunico, Jr. the budget has been approved through the stewardship of TESDA Sec. Emmanuel Joel Villanueva who has been known as the country’s Technical Vocational (Tech-Voc) champion. “Knowing the positive effect of the massive tech-voc trainings that have been conducted in 2014 which contributed to the economic growth of the region, our government has been investing much to deliver tech-voc trainings in the country,” Dir. Sunico said. The official added the government thru Sec. Villanueva has been supportive in developing human resources to be at par excellence with other workforce in the neighboring Asian countries in response to the implementation of the ASEAN Economic Integration. For Agusan del Norte, the total project cost is P2,840,171 that will cater 194 beneficiaries from this city, and the municipalities of Jabonga and Tubay. Of this cost, the local government unit’s counterpart is pegged at P500,000 and TESDA will shoulder the remaining amount of P2,340,171. Also, a total of 83 beneficiaries from Talacogon, Agusan del Sur can avail of the program which costs P1,089,000 for which the provincial counterpart has pegged to give P99,000 counterpart while TESDA shoulders P990,000. Further, the provincial government of Surigao del Norte has pledged to give P540,000 as their counterpart to the P4,350,000 total project cost benefitting 319 Surigaonons coming from the city, Dapa and Bacuag. “This means that TESDA is responsible to give P3,810,000,” Sunico said. Furthermore, some 144 beneficiaries from Lanuza, San Miguel, and Tandag City in the province of Surigao del Sur will have the opportunity to be trained by TESDA. The total project costs P2,050,000. Of this amount, the provincial government’s counterpart is P335,700 while TESDA’s approved budget is P1,714,300. Finally, the province of Dinagat Islands is allotted P1,612,000 with LGU’s counterpart amounting to P112,000 and TESDA with P1,500,000, benefitting 125 beneficiaries from the municipalities of Cagdianao and Libjo. It can be recalled that during the visit of Sec. Villanueva here in October 2014, he has already announced the BUB implementation in Caraga Region as an additional mechanism of TESDA and the government in molding the youths and be world-class competent in terms of skills development. AGUSAN DEL SUR, Peb. 24 (PIA) - Ihahabla ng pamahalaan ang lahat ng responsible sa pagkamatay ng 44 na komandong pulis sa Mamasapano, Maguindanao kapag sila ay nakilala, sabi ng isang opisyal ng Palasyo noong Lunes. "Hintayin natin ang ulat ng Board of Inquiry ng (Philippine National Police) dahil kailangang makilala pa natin kung sino ang mga taong ito. 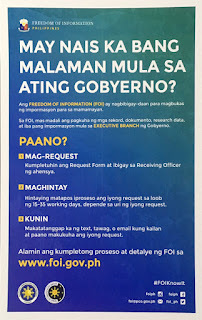 Kaya kapag naihain na ang habla, tutugisin natin sila. Responsibilidad nating ipatupad ang batas,” sabi ni Presidential Spokesperson Edwin Lacierda sa mga mamamahayag sa isang panayam sa Malakanyang. Sumasagot si Lacierda sa tanong kung kinakailangan ng Moro Islamic Liberation Front na isuko ang kanilang mga miyembro na nadawit sa nakakatakot na sagupaan sa pagitan ng mga rebeldeng Moro komando ng pulis noong nagpatupad ng misyon ang pulis na arestohin ang dalawang suspetsadong terorista sa Mamasapano noong nakaraang Enero 25. Kapag natiyak na ang krimen at iyong mga kinakailangang ihabla ay nakilala base sa tamang proseso na nakapaloob sa batas ng Pilipinas, ipatupad ng pamahalaan ang batas na walang takot o kaya pabor,” sabi niya na tinutukoy si Presidential Peace Adviser Secretary Teresita Deles.